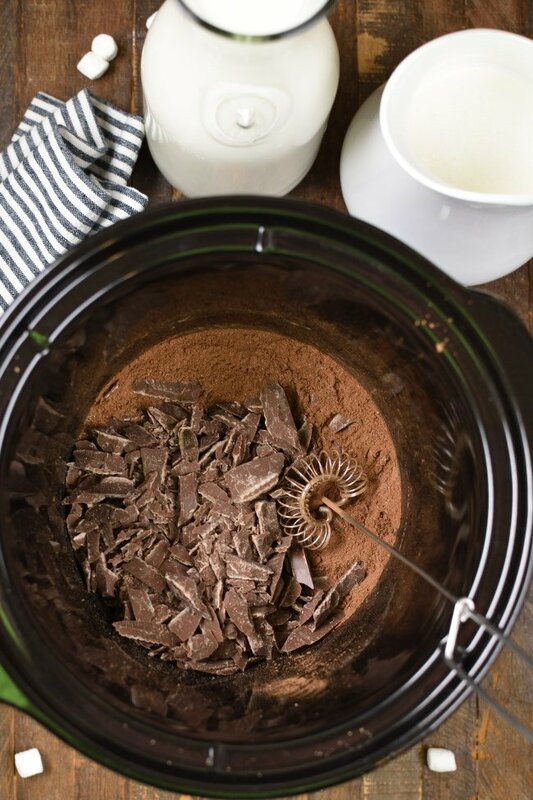 Slow Cooker Hot Chocolate is THE hot chocolate of your dreams! It’s incredibly creamy and extra chocolatey! Add marshmallows right to the slow cooker to make it decadent enough it should be considered dessert. And, if that’s not enough pile as much whipped cream on top as the mug will hold then sprinkle a few chocolate curls over all that goodness for extra measure! You guys know I feel a little picked on from time to time because I live out here in the middle of nowhere and it’s stinking cold all winter long. When I say all winter long, I’m talking about from the beginning of November clear until the end of March, at the earliest. If there’s one thing I really don’t like, it’s to be cold! I hesitatingly must admit, there are a few benefits to the cold, just a few though! 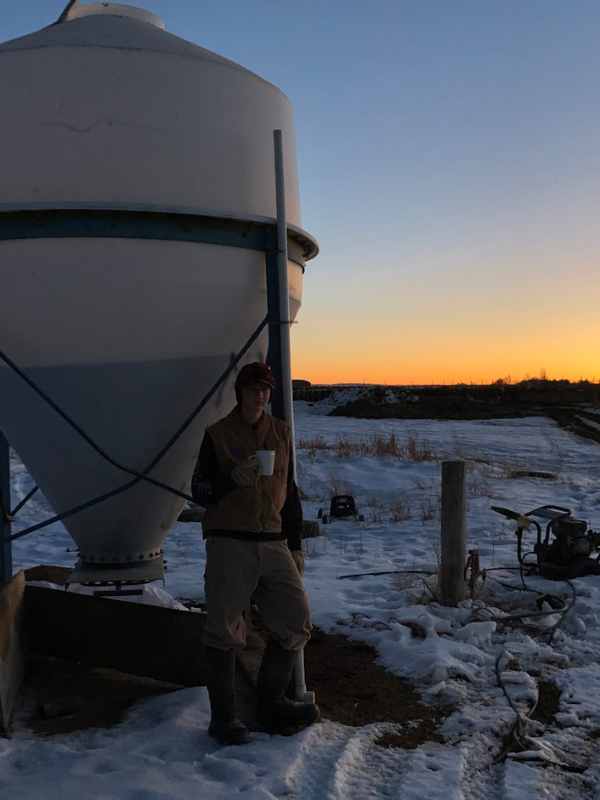 It’s really hard to be overly ambitious on the farm when it’s bitterly cold. What has to be done still hast to be done, but we kind of let the rest of it ride until it’s warmer out. I guess what I’m saying is that my boys are home a little more in the winter than they are in the summer and I’ll take as much of them as I can get. Do I dare say it? Even if that means cold weather! 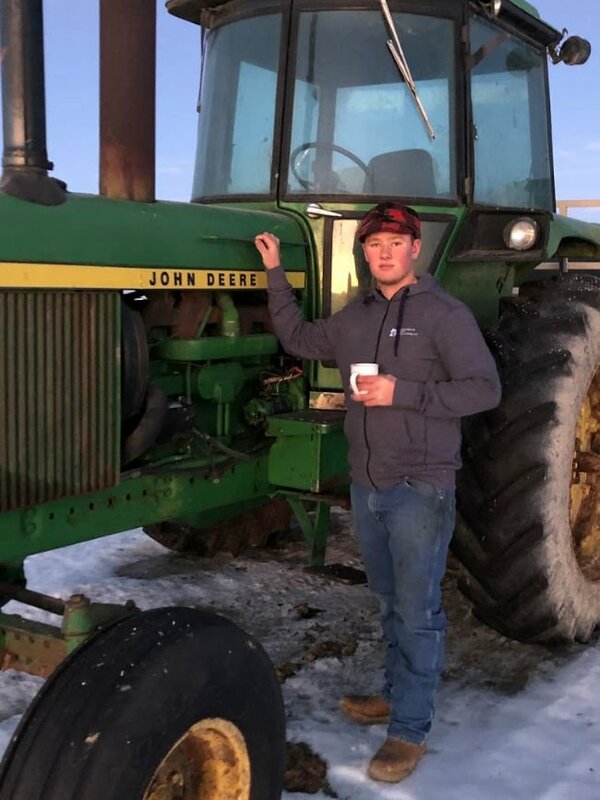 Warm those farm boys up! In the winter I can count on my boys bounding through the door searching in hopes of finding a piping hot batch of slow cooker hot chocolate on the counter. It’s kind of one of my favorite things too because that means I get to hang out with them for a few minutes, then it’s back out to finish their chores. 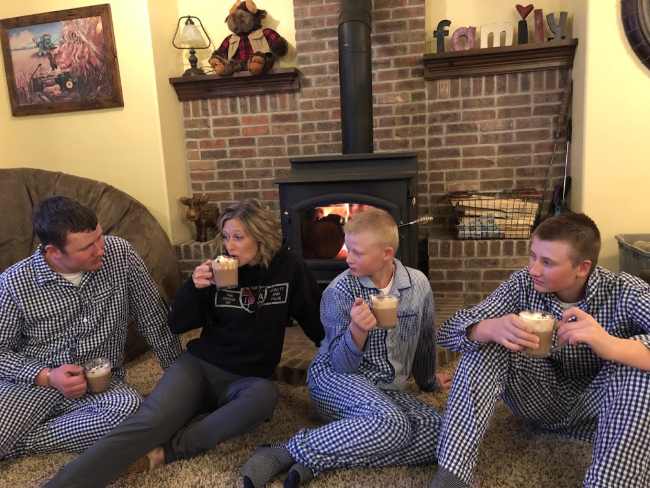 It’s one of their favorite things to do because they get to warm their hands up for just a minute, and because they are absolutely in love with this hot chocolate! This isn’t your average old throw a few spoonfuls of cocoa mix in a mug of water hot chocolate either! 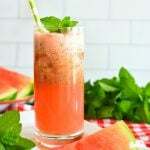 It’s made with all the good stuff…the really good stuff! We’re talking real milk, heavy cream, chocolate chips, a little sugar, a bit of cocoa, and a splash of vanilla! There are some days when I know the boys are beyond busy out there on the farm and just aren’t going to make it in the house for a while. 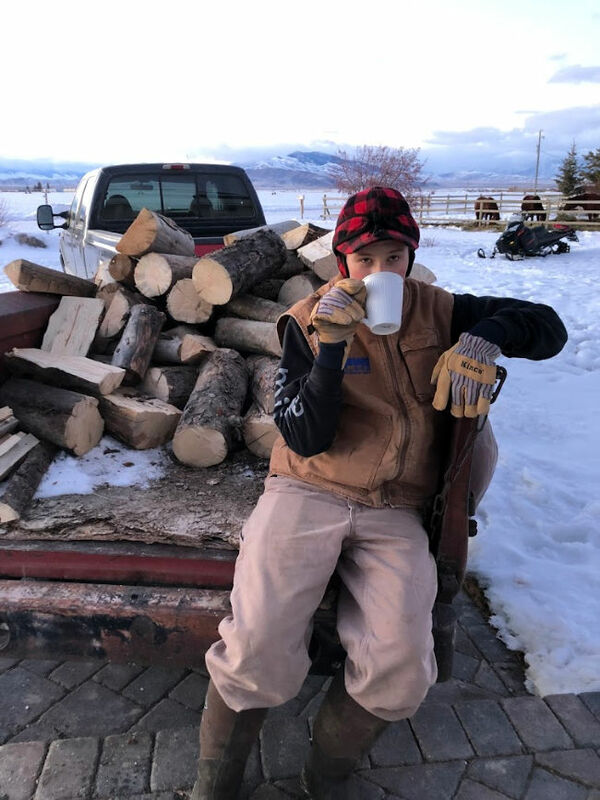 I try to be good mom and bundle up and bring a mug of hot chocolate right out to them, but I’m going to be honest here, that doesn’t happen very often. I’d rather them pop in the house where I’m comfortably hanging out by my heater! 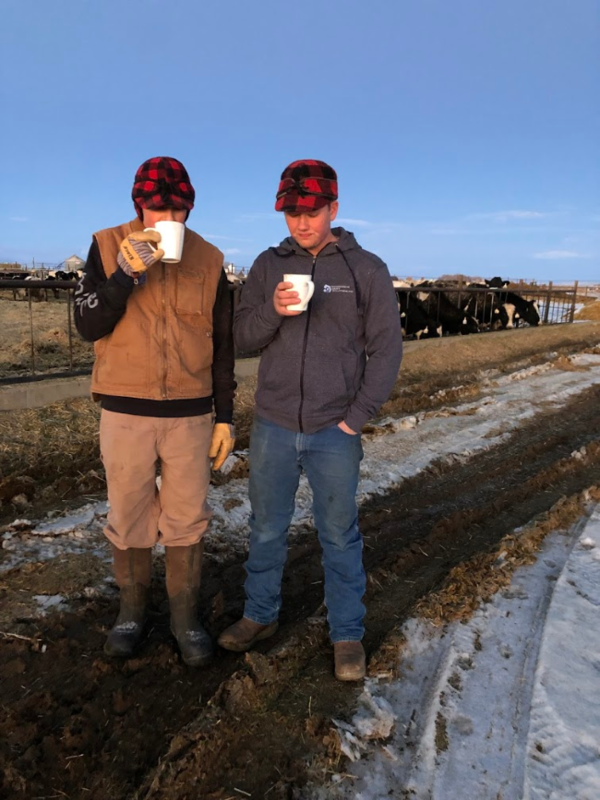 Besides that, while they sip on hot chocolate we get to chit chat and catch up with each other for a minute even if it’s while they stand in the mudroom in their boots and work clothes. 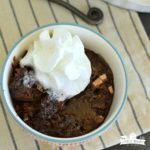 Slow Cooker Hot Chocolate and Memories! You’ve heard people talk about how wonderful sitting around a campfire is? Well, sitting by my fireplace is just about as good! The kids start talking, then they start giggling and before you know it, we’ve spend way too long sitting around the fire and probably not long enough doing our chores. You know what though, these are the good times. These are the memories! It’s what being a kid, and a parent for that matter, is all about! Sitting there listening to my boys tell stories is the BEST way to spend the morning, or evening, or any other time of the day. 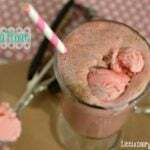 Slow Cooker Hot Chocolate is the BEST! Even with all those warm fuzzy feelings as you imagine us sitting around slurping hot chocolate loaded with all the stuff, I wouldn’t be telling the complete truth if I didn’t tell you that I still have a love hate relationship with Slow Cooker Hot Chocolate! The problem with Slow Cooker Hot Chocolate is that it’s ALWAYS on the countertop. I’m endlessly cleaning up mugs. We go through marshmallows and whipped cream faster than most people go through underwear. I’m constantly cleaning drips of hot cocoa off my hardwood floor. But you know what? There are memories associated with those mugs. And if that means a mess of mugs and a slow cooker on my countertop from November through the end of March…I’ll take it! I’ll take it all winter long! And just in case you were wondering, I don’t even put my mop away anymore! It’s kind of like a decoration in my mud room! That’s comfort in a mug! 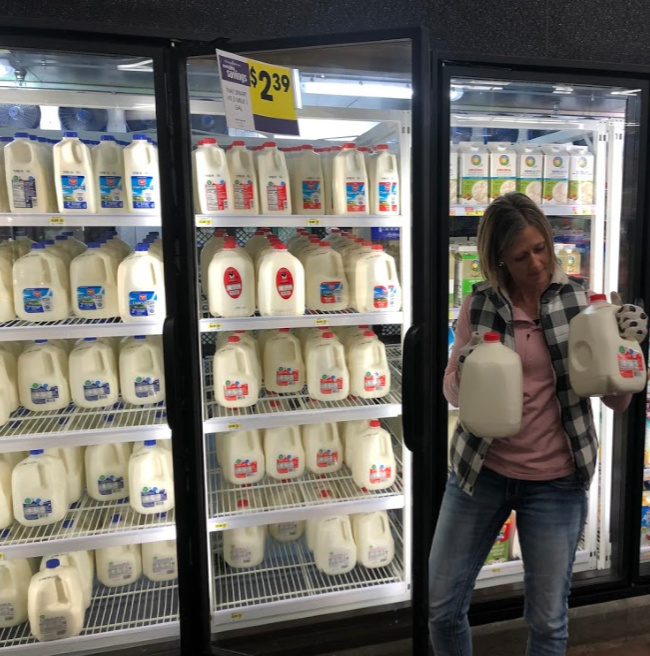 Enter to win a year of FREE milk! Today is your lucky day! You can win a whole years worth of free milk by participating in the Love What’s Real Sweepstakes! It’s easy to enter and here’s what you need to know to get entered. Post a photo on Instagram that shows your own “Love What’s Real” milk moments in your life! Be sure to include the hashtags #LoveWhatsReal and #Sweepstakes. I’m guessing milk brings you together at breakfast, probably during an after school snack, and maybe even as part of your post workout routine. The Sweetstakes is running from 1/22/2019-2/28/2019. I was surprised to learn that milk is one of the most shared foods on Instagram. One out of every four food posts shared has milk in it. And even more surprising than that is the posts that included real dairy milk were happier than non-milk posts. Yes! Milk makes life good! 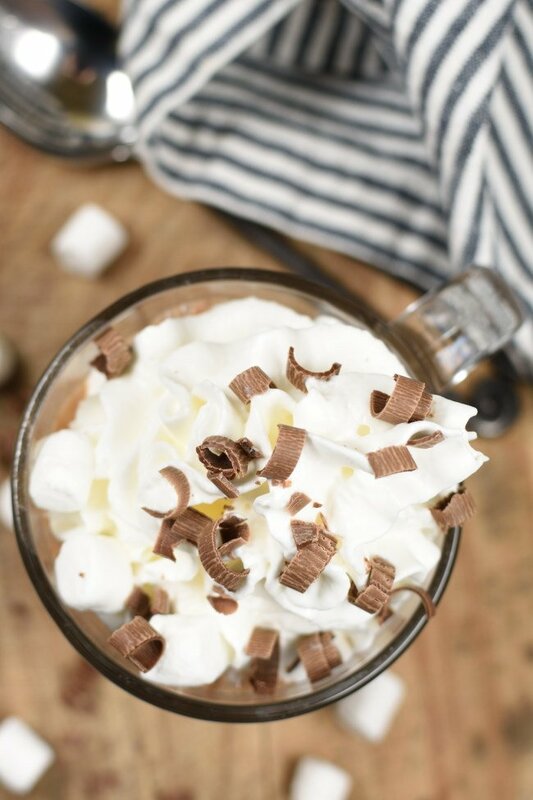 Grab my Slow Cooker Hot Chocolate Recipe! Snap a pic of your family making memories around milk and share it on Insta! It’s your chance to win! And just think of how much hot chocolate you could make! 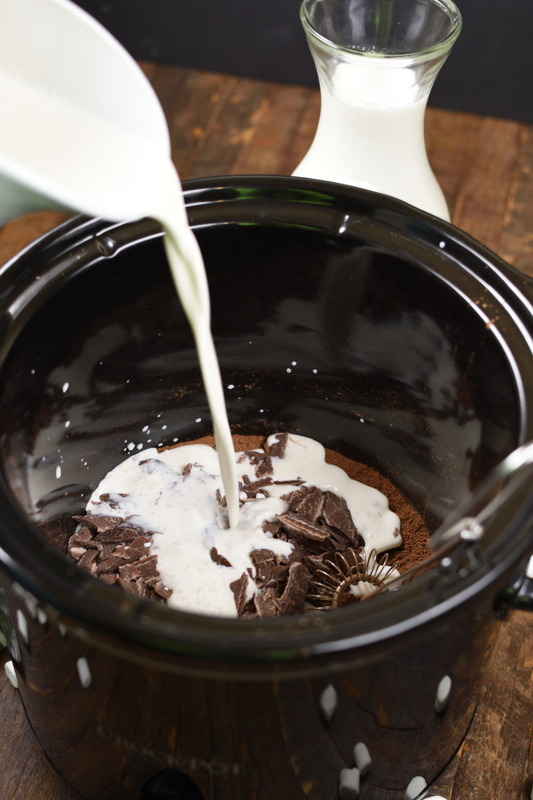 Grab that slow cooker, milk, and chocolate chips and get a batch of Slow Cooker Hot Chocolate going! You’ll be surprised at how that anything made with milk magically draws kids from all the corners of the house, or farm, and gets them talking! Trust me it will be worth the mess! 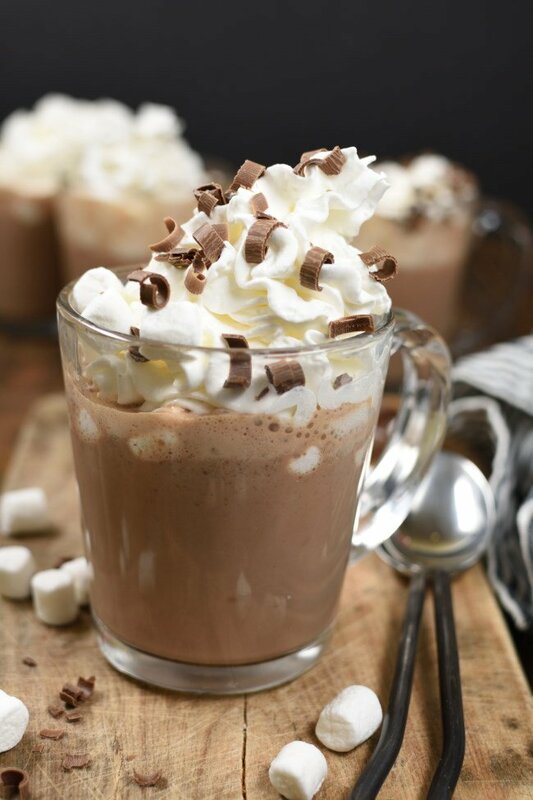 Slow Cooker Hot Chocolate is THE hot chocolate of your dreams! It’s incredibly creamy and extra chocolatey! 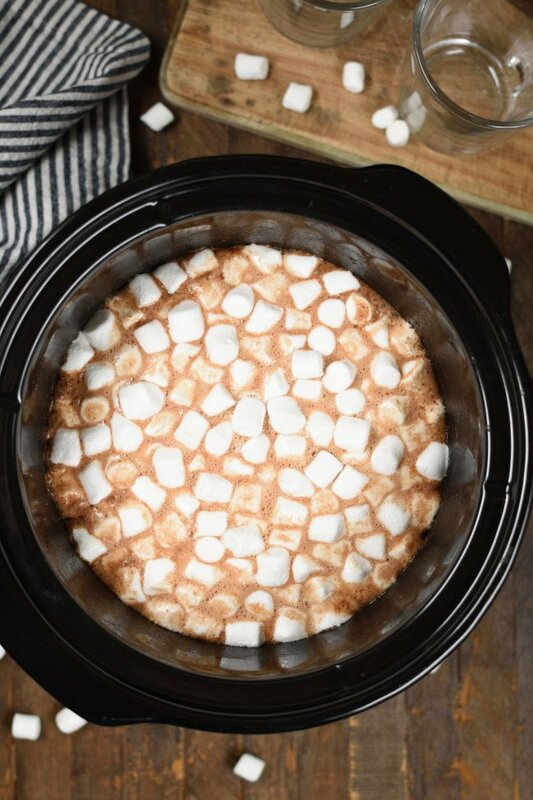 Add marshmallows right to the slow cooker to make it decadent enough it should be considered dessert. And, if that’s not enough pile as much whipped cream on top as the mug will hold then sprinkle a few chocolate curls over all that goodness for extra good measure! Whisk sugar and cocoa together in the base of a slow cooker. 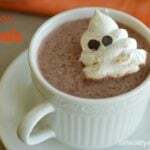 This will help eliminate getting lumps in the cocoa. Add whole milk, heavy cream, and milk chocolate. Whisk together. Cook in slow cooker on low for 2 hours. Whisk occasionally to make sure the chocolate incorporates with the milk as it melts. 10 minutes before serving add two cups of marshmallows to the slow cooker. Put the lid on and let hot chocolate sit for 10 minutes. Gently stir the marshmallows and they'll make your hot chocolate extra decadent! Serve with any, or all, of the desired toppings. Store leftovers in the refirgerator and microwave to reheat when you're ready to serve. You may use 2% milk, but it won't be quite as creamy as if you use whole milk.